Mom deserves Flowers! Not just on Mothers day! 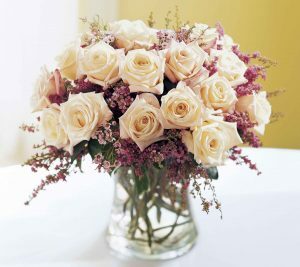 Roses: Roses are connected with mothers and they are very popular whenever there is any relationship related to love and care. It is considered ideal for mothers as they are the flowers that signify grace, care and appreciation. It also signifies love and friendship which is a perfect gift for every mom. Lilacs: The flowers that are used to gift your mothers don’t end with roses only. Another special flower can be lilacs. They are used to signify natural love and new relationships. It is also used to symbolize motherly love among mother and child and hence they can be an extraordinary present for your special mom. Irises: These are the flowers that are recognized for providing warmth and affection to people and they are available in the colors of rainbow. White and blue irises are very famous for mothers. Orchids: In Chinese culture, orchids are considered very famous for children and they are used to signify sophistication and exquisiteness. All the mothers are going to love the exotic flowers in a bouquet. Carnations: As per a Christian myth, pink carnations are assumed to have first matured from the ground at the place where the Virgin Mary shed tears for Jesus’ demise. Because of this, many people consider carnations are an emblem of a mother’s everlasting love. Pink carnations, plus red and white ones, are famous to present it to your mothers. Tulips: These are the traditional flowers that are known to be associated with new life, charity or spring season. They are very graceful and beautiful and they are always an option for giving it to your mother. Lilies: As lilies are generally considered as flower for Easter, they are frequently used on occasions like mother’s day as well. There are many factors that should be taken care whenever you shop for your mom. Representation of flowers shouldn’t be the only feature when you’re getting something for your mother. Besides, you must think about your mother’s beloved color while you are getting flowers for her. Daffodils or sunflowers are beautiful choices for moms who are keen on yellow; blue hydrangeas, pink Gerbera daisies and red peonies are also multi-colored flowers that your Mom will love. You can also select flowers as per her birth month or something lucky as per her horoscopes.